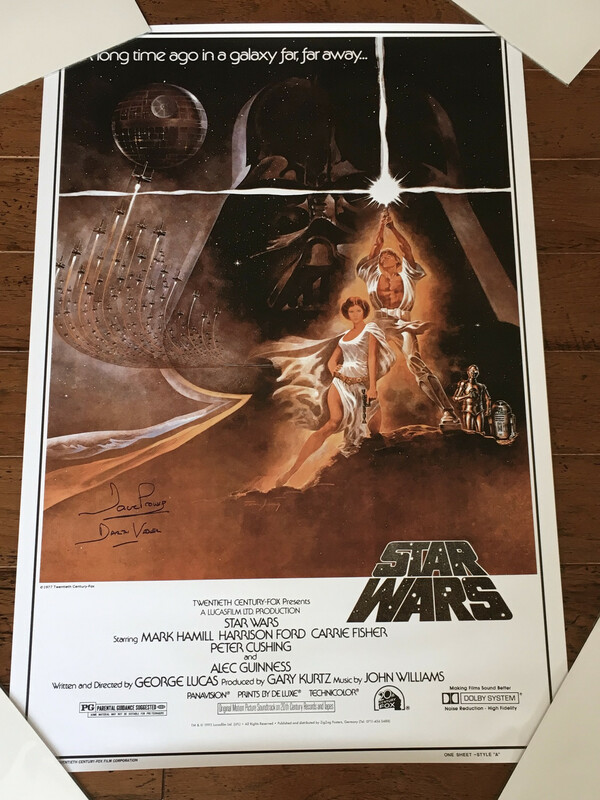 24x36 poster signed by Dave Prowse. Dave has signed this poster in blue ink and added his character name. The poster shown is the exact one you will receive. We only have 10 signed posters left and they are all currently listed in the store. These posters have been handled and you should expect slight imperfections such as creases, corner/edge imperfections. Still nice items and we will never have them in stock again. Don’t miss out as they will sell fast. Dave has also stopped signing now, so this is a highly collectible. Ships rolled in a shipping tube.